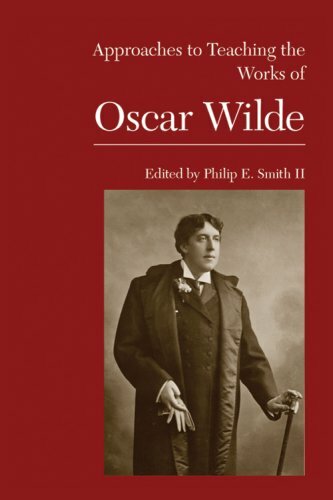 It is both a challenge and a pleasure to teach the works of Oscar Wilde, "the master of paradox," in the words of this volume's editor. Wilde wrote at a pivotal moment between the Victorian period and modernism, and his work is sometimes considered prescient of the postmodern age. He is now taught in a variety of university courses: in literature, theater, criticism, Irish studies, cultural studies, gender studies, and gay studies. This volume, like others in the MLA series Approaches to Teaching World Litereature, is divided into two parts. The first, "Materials," suggests editions, resources, and criticism, both in print and online, that may be useful for the teacher. The second part, "Approaches," contains twenty-five essays that discuss Wilde's stories, fairy tales, poetry, plays, essays, letters, and life--from the perspective of a wide range of disciplines. If you have any questions about this product by The Modern Language Association of America, contact us by completing and submitting the form below. If you are looking for a specif part number, please include it with your message.